Vint Hill Educational Services offers premier, in-home, one-to-one test-prep tutoring, subject-based tutoring, academic coaching, and mock testing services in chamberlayne, va. We are committed to helping students excel, and we go the extra mile by assessing each student’s needs, assigning the most appropriate tutors, and customizing tutoring programs to ensure academic success. Please click here to find out how our services differ from standard tutoring programs. VHES offers one-to-one test preparation for the ACT, SAT, PSAT, SSAT, ISEE, HSPT, and SAT Subject Tests. Our test-prep program includes a detailed diagnostic report, test-prep materials, test-taking strategies, full-length practice tests, and one to two hours of homework per week. Lesson plans are customized to ensure that sessions are focused on the most appropriate material and students improve their baseline scores. We will recommend one of our four test-prep packages based on target scores, subject areas that need attention, and the next scheduled exam date. Click here for more information on our test-prep service. VHES offers both group and individual mock testing to help students assess their content knowledge and improve their test-taking skills. Parents will receive a free diagnostic score report from our testing software. View sample reports: ACT, SAT, SSAT, ISEE, and HSPT. VHES offers ACT and SAT mock tests in a group setting to simulate the testing environment and accustom students to the format, structure, and timing of the official exam. These baseline test assessments are hosted in the Richmond area at the Richmond Community Church at 11801 Nuckols Road in Glen Allen. 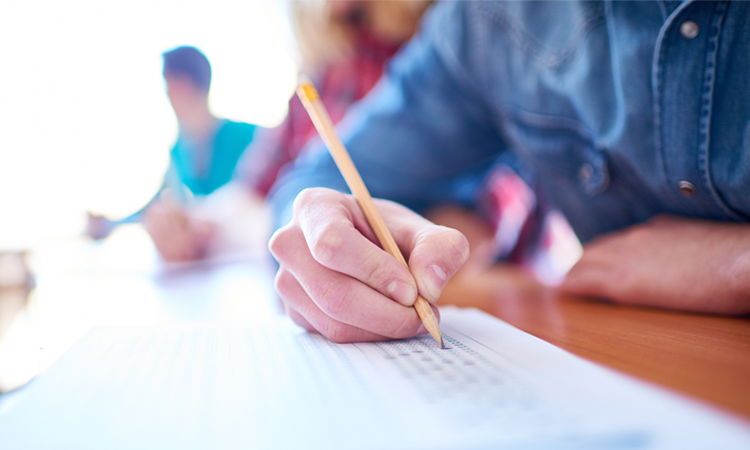 For the ACT and SAT, we will review the scores to see which test the student is scoring higher on. Since all colleges and universities accept both tests, it's beneficial to know if your child is scoring higher on the ACT or SAT. We'll use our score concordance chart to make a test recommendation. We also offer proctored one-to-one and in-home testing. This option is a perfect fit for students who need additional time due to test anxiety or attentional issues. Parents have the option of administering the test to their child for free. They can also arrange for one of our tutors to proctor the test in the home or at a local library. An individual test scores comparison chart is provided for students who are taking both the ACT and SAT. Reading Comprehension, English, Writing, US/World History, Pre-Algebra, Algebra I & II, Geometry, Trigonometry, Pre-Calculus, Calculus, Statistics, Biology, Chemistry, Physics, Spanish, French, Latin, and ESOL. Each session is one hour in length and one-to-one for individualized support. Our tutors utilize the student’s textbooks and homework, along with teachers’ assessments and the most appropriate supplementary materials, to help students work through their courses more efficiently and confidently. Click here for more information on our subject tutoring service. VHES offers academic coaching for students who have difficulty getting organized, staying focused, planning schoolwork, or studying for exams. Our coaches are highly skilled at helping students overcome a wide spectrum of academic challenges, including attentional problems, low executive functioning, and learning difficulties. This program is also beneficial for students who need extra help preparing for, adjusting to, and keeping up in college. From the application stage to graduate work, our coaches use the most effective strategies to get students motivated, engaged, and adjusted to the college experience. Our program includes a free coaching assessment and customized plan to identify the student’s challenges, strengths, goals, and learning style. Click here for more information on our academic coaching service.